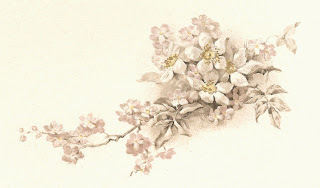 This is a lovely, soft vintage flower graphic from a wedding book. I love the muted shades that give these white flowers a very light shade of pink. And, the shading is so pretty. I hope you enjoy! Stunning images, thank you very much.